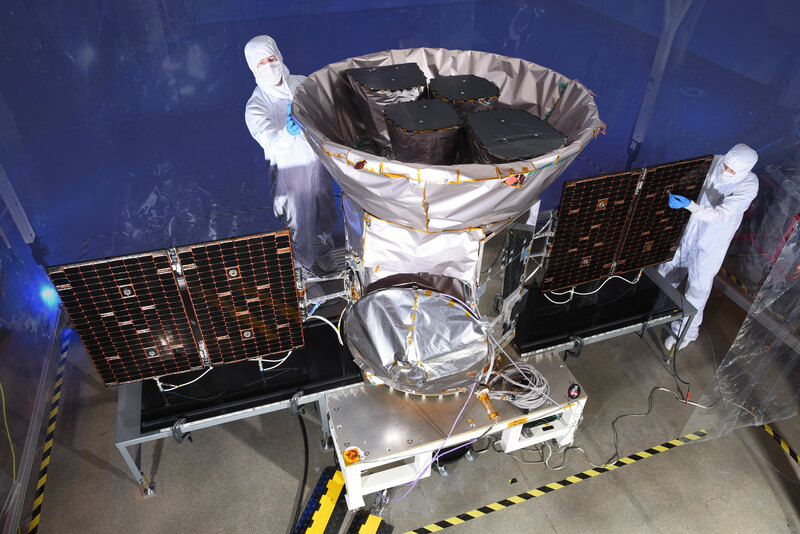 On Monday, April 16th, NASA is scheduled to launch its newest exoplanet hunter: the Transiting Exoplanet Survey Satellite (TESS). What’s special about TESS? For one, it’s the first ever spaceborne transit survey that will observe the whole sky. 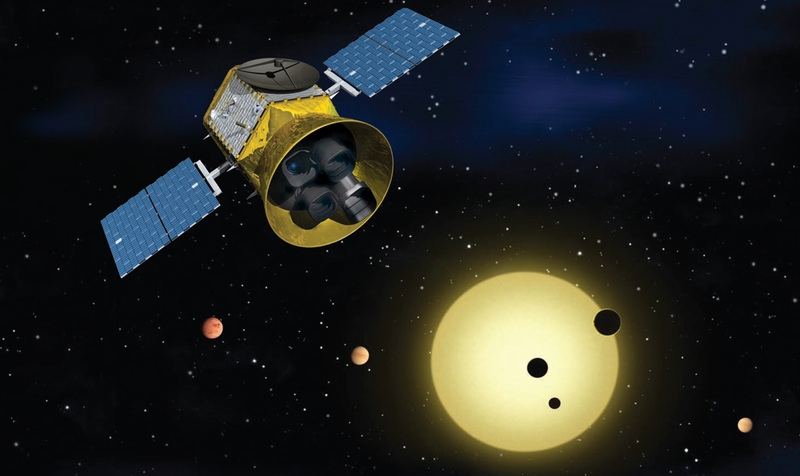 During its two-year survey mission, TESS will look at more than 200,000 of our brightest neighboring stars to hunt for planets ranging from Earth-sized to gas giants. In this episode of Gravity Assist, Jim Green talks with Martin Still, the TESS Program Scientist, about how TESS works and how it will help us discover new worlds. One of the most mind blowing discoveries in the last couple decades is really what we've been exploring by NASA and many of the other countries about strange new worlds. And I think of that also within the solar system, but in this case, we're talking about well beyond the solar system. We have found thousands of planets orbiting other stars, and we call those exoplanets. In some cases, we even see multiple planets around a single star, much like our own solar system. With me today is Dr. Martin Still from NASA Headquarters here in Washington DC, and he's the program scientist on our TESS mission. And since TESS is an acronym--everything we do in NASA's an acronym--Martin, what does it stand for? Martin Still: TESS is indeed an acronym. It stands for Transiting Expolanet Survey Satellite. Mission's been selected by NASA through its Explorer program, and its principal investigator is Dr. George Ricker working at the Massachusetts Institute of Technology. Jim Green: Wow. So, it's building on what Kepler has found. And instead of looking at stars so far away, is TESS designed to look at a different set of stars? Martin Still: That's right. We can look upon NASA's exoplanet strategy in terms of three aspects. The first is detection: Where do the planets exist, where are they, where should we look for them. The second is characterization: How big are they, how heavy are they, do they have an atmosphere, do they have a solid surface. And the third is can we find any evidence for life, for biomarkers on these planets in their atmospheres. And so, TESS is the next step along that journey. Kepler was NASA's first step. It enabled us to determine how common exoplanets are in the galaxy, how likely are we to find an exoplanet if we look towards a particular star. And of course, the big science result from Kepler was that exoplanets are almost ubiquitous in our local galaxy. And so, we could then launch TESS with certainty that we are gonna detect many nearby exoplanets around the nearest stars in our neighborhood. Jim Green: Yeah, that's really exciting to me, something that's closer to home. Can you remind me exactly how this transiting idea works to be able to discover planets? Martin Still: Yeah, sure. And so, you require a very specific configuration. You need the orbit of a planet to be aligned almost sort of to our line of sight, just a degree or less away from, you know, the direction or the line between us and the distant star that we're looking at. And if it is perfectly aligned that way, then once per orbit, that planet will pass in front of its host star, and you'll get a very slight dimming in the intensity of that star and the shape and the duration of that dimming will tell you some interesting things like the size of the planet and also the orbit, the size of the orbit of the planet. Jim Green: So, Kepler indeed told us they're out there, and not only a few, but everywhere we look, we expect stars to have some aspect of these exoplanets. 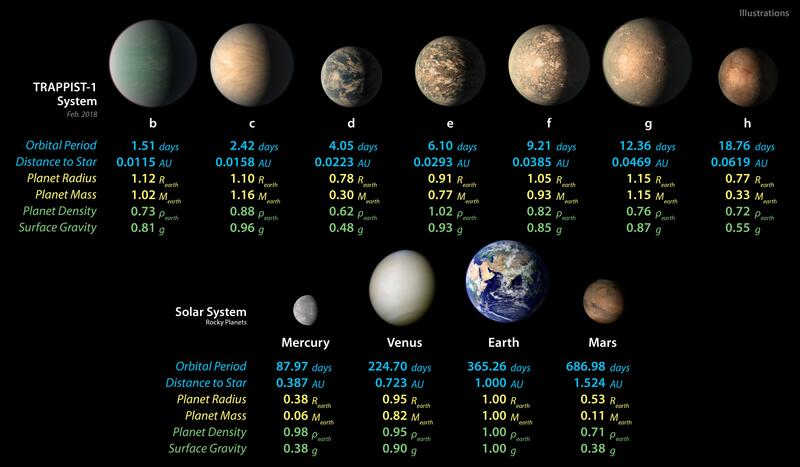 And in fact, we've discovered planets that we don't have in our solar system in terms of the size range. Do we expect TESS to make those same kind of discoveries? Martin Still: We do expect TESS to find the same kinds of planets. We expect to find a whole range of planet sizes between planets the size of Mercury or even the moon, our moon, to planets the same size as Jupiter and everything in between. The most interesting thing about these TESS discoveries is gonna be how close they are and the fact that their host stars are gonna be bright relative to those Kepler stars. And so, this means that these stars and planets are gonna be much easier to follow up, both with ground based telescopes and with future space telescopes like James Webb [Space Telescope] where we'll be able to characterize the properties of those planets and their host stars far more readily than we can with the planet population that we already know. Jim Green: So, Webb is sort of like that third step that's interrogating potentially exoplanets that are close to us around our bright stars that perhaps we could see their atmospheres. So, is TESS gonna launch soon? Martin Still: TESS, hopefully, knock on wood, has got a launch readiness date of April the 16th, it’ll be launching from the Kennedy Space Center. And it has one launch window per day because it has a very interesting orbit that it has to find around the Earth, which we can maybe talk about a little bit later. So, yeah, indeed, it's real soon. And so, everything is gearing up, and everything is so far ready to go, and we're good for an April 16th launch as of today. Jim Green: So, how many stars does TESS look at at once? Martin Still: TESS looks at a few tens of thousands of stars at the same time. Over the lifetime of the prime mission, which is two years, it will do one year in the northern sky, the first year it will do in the southern sky. Over that time, it will study 200,000 stars in a very special way, looking at very high cadence, two minute observations. But, it will also look at the majority of the sky at the same time a 30 minute cadence, which is still good enough to detect most of the available transiting exoplanets out there. So, it's almost every star in the sky over a two year duration. Jim Green: Yeah, this is really a huge step beyond Kepler for many reasons, but--and I really like it. I mean, this is the way science is progressing over time. We build our next missions based on what we've learned. You know, in planetary science, when we launch our missions, sometimes, it takes absolutely, you know, months and months and even years to get to the object. But, TESS is a spacecraft that orbits the Earth. What kind of orbit is it, and how soon can it become operational? Martin Still: Pretty soon. So, it is in what we call a polar orbit. So, instead of being close to equatorial where it goes around the equator of the Earth like many low orbit, low altitude orbit satellites, it will be in what's called an elliptical orbit. So, when it's at its closest approach to the Earth, it'll be just above these low Earth satellites, but it will get as far out as about a third of the way to the moon at its furthest from the Earth. And it will be going pole to pole, and it does this in order to stare at the same stars for long periods of time in a relatively clutter-free environment but get close enough to the Earth in order to transmit all of the data that's been collecting over that orbit in one big rush so all the scientists and the ground operators can start analyzing that data rapidly. Now, in order to get into that orbit, it has to do something very similar to your planetary explorers. It has to take a slingshot around another astrophysical body. So, it has to do several burns in order to get to the moon where it slingshots around the far side into this polar orbit. And that will take roughly two months to get into that configuration over which time it will actually be taking observations and calibrating and commissioning its instruments. And so, by the time we get into this polar orbit in two months after launch, it will be ready for operation. Jim Green: Yeah, the orbit dynamics are fascinating on their own right. But, indeed, getting into an orbit where you can sit far away from the Earth at what we call apogee allows us to really stare and take really a concentrated set of observations. How do we think these exoplanets are being formed? Is that something that happens everywhere? Martin Still: We think so. We think the planets were formed at the same time as their host stars. We think the host stars and the planets are coalesced out of coal molecular gaseous nebulae under the gravity of this gas. And if there's enough mass in that collapse, then there'll be a nuclear fusion onset in the core of these objects, and they become stars. But, there will be some detritus, some gas and dust left over from that formation, and they tend to stick around those stars, and eventually, they'll coalesce into smaller objects and then planetesimals and then eventually planets of various sizes. Jim Green: You know, one of those planets, exoplanet discoveries that really fascinated me and so many people was the discovery of the seven terrestrial nearly Earth-sized planets around [TRAPPIST-1]. And what's fascinating to me is, actually, that star is only 40 or so light-years away. It's just right around the block. And so, when we look at our bright stars out of our local cloud, these then are forming opportunities for us to really take a good look at those planets in great detail. Martin Still: That’s right. And so, we can currently do that with Hubble Space Telescope, and we'll be doing it real soon when we launch the James Webb Space Telescope. One of its primary missions is to observe or to detect and observe the molecules in the atmospheres of rocky planets and gaseous planets and determine the chemical constituents of those atmospheres. Jim Green: That is really exciting, you know? And we look as planetary scientists at our own planets sort of as those Rosetta Stones. We know a lot about their atmospheres. We know a lot about their dynamics. And if we can observe some of the similar things in exoplanets, then we have a greater understanding as to what those bodies are. So, what are the kind of things that we would be looking for in the atmospheres of exoplanets to help us determine if there might be life there? Martin Still: Yeah, and the most obvious thing to do is look for those kinds of biomarkers. And so, if, for instance, we were looking for life similar to what we find on our planet, then we'd be looking for an atmosphere which had very similar conditions; same temperature, same density, same pressure and same chemical constituents. So, we're looking for the chemical markers of oxygen, of ozone, carbon dioxide, methane, all of those things which fill our own atmosphere. And some of these things, of course, are markers of our own presence on Earth. Much of the methane in our atmosphere is the product of biology. And if we find the right cocktail of these chemicals in exoplanet atmospheres, it's not obviously cast iron proof of life, but it does provide evidence that there may be some form of biology on those planets. Jim Green: Yeah, that's a fascinating topic. And in fact, one of the planetary spacecraft called Deep Impact after it was done with its primary mission, we had it look back at the Earth in a place in its orbit where the Earth was basically just one pixel, and then we just studied the spectrum, and we accumulated that spectrum. And what we found is that it changed over time, and it changed over time based on the percentage of clouds, the percentage of land, the percentage of ocean that was in that view. And then it changed again when the moon moved in front of it. And so, I think we've got some really great spectrum ready to go to be able to compare indeed with the Webb Telescope when it gets up and running. But, TESS has got to work for us to be able to point to those that we can go after. Martin Still: That's right. And so, it goes beyond TESS and beyond James Webb, by the way. So, if you're looking for those kinds of time dependent markers of changing cloud patterns and ocean and land patterns due to the rotation of planets, the best way we can find those, the most sensitive way we can find those is to detect the light from these planets directly. In order to do that, we need to block the light from the nearby stars. So, potentially, future missions launched by NASA in the coming decades will go--with fly with what we call coronagraphs or star shades attached to those missions. They'll be blocking out the light from the central stars, and we'll be able to monitor the long term light spectral properties from these planets over a long period of time to see exactly that, whether we can detect rotation, clouds and oceans. Jim Green: Why is it so important that we get into space and use those telescopes to find exoplanets than use our systems here on the ground? Martin Still: The atmosphere, man, is just awful. The atmosphere that we need to live and breathe and survive gets in the way of our astronomical observations. Temperature gradients, you know, temperature differences from the top and the bottom and turbulent motion and weather all get in the way. And so, there are just--and of course, there are just certain types of light which we cannot see from the ground. There's just a certain amount of light like ultraviolet and x-ray and gamma ray light that does not reach the surface of our planet because the atmosphere absorbs or reflects that. Jim Green: So, what's the wavelength regime that TESS uses in its observations? Martin Still: Yeah, TESS is going to use the wavelength regime that we see. It's gonna use the optical. So, it will see exactly the same light that our eyes would perceive, and in fact, it will be observing and trying to detect exoplanets around stars that we can see with our naked eye. We'll be able to point at stars in the sky and say there's an exoplanet around that star. Jim Green: You know, when we look at the Sun and we look at it in a variety of wavelengths, in particular the x-ray and ultraviolet, we see a very different Sun, and it is emitting light in highly variable ways. But, the optical regime when we look at that in our Sun is really pretty steady. It's only the Sunspots that cause demission of the total light from the Sun. So, indeed, optical is an important wavelength no matter what. Martin Still: No matter what, it is very quiet, and it's also the wavelengths at which most stars emit most of their light. 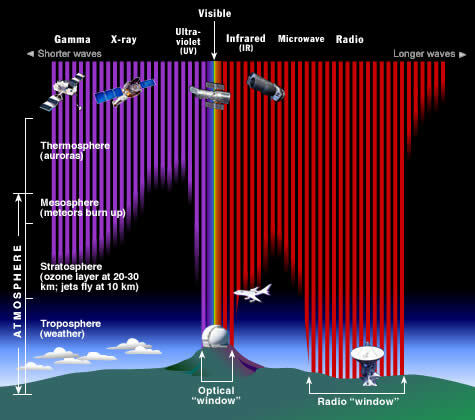 So, it's not just the sensitivity of the detector and the telescope. It's also the most natural place. Jim Green: And the most steady so that we can actually detect that demission by the exoplanet. Martin Still: Yeah, except some of the, of course, are not and the star burst out spots, and the flares actually get in the way of our transit detection. So, we do miss a whole bunch of exoplanets even when we're looking in the optical because of the activity of these stars. Jim Green: But, what's really great about that is that data is important for other scientists. These are scientists that are looking at different types of stars and how active those stars are in different wavelengths. So, indeed, flares, coronal mass ejections where we can see that in these wavelengths, it really gives us an idea of how extensive the convection zones of the stars are and how active they are. So, that data will be used no matter what. Martin Still: Don't get me started. I would say--in fact I know, half of the science discoveries from the Kepler spacecraft had nothing to do with exoplanet science. Jim Green: Yeah, that's right. Martin Still: They were studying stars and galaxies, Supernovae, comets. Jim Green: In fact, there's 10,000 G2 stars in the Kepler main mission set that they looked at. And G2 is our own star, and so indeed, we want to look at those stars to see how active they are, how many sunspots they have had, and then that enables us to compare our own solar cycle with those solar cycles of those stars. And we're finding that there are G2 stars that are very active, but they're typically younger, which tells us our own star could have been very active in a much earlier stage in its evolution. Jim Green: So, indeed, these kind of data are really spectacular for a whole variety of reasons. Martin Still: We are seeing exoplanet atmospheres evaporate and boil away because of the activity going on from their host stars. Jim Green: That's right. You know, those planets are evolving in those systems, too, just like our planets do. So, TESS is gonna be looking at these close stars because they're the brighter ones. Is there enough ability for TESS to see exomoons? Martin Still: In principle, yes. But, be weary - Kepler also had the same ability. It also had--you know, there are many moons, for instance, around our outer giants, which are the same size as some of our terrestrial planets, which Kepler and TESS are or will be sensitive to. However, the issue with moons, of course, is that not only do they have to orbit the planet that they are associated with, the planet orbits the star, and so the transit shape, the dimming gets very complicated. And so, it's not a repeatable signal, which is the very thing that scientists are looking for. There are groups out there trying to find the signatures of moons, which should be there. Yet, so far, nobody has found one. They've all come up blank. So, did you ever think that you'd get involved in such a spectacular set of science opportunities that studying exoplanets gives us today? Martin Still: On a personal level--. Martin Still: --Are you kidding me? I was born in a fairly blue collar town in the United Kingdom, and my passion was science fiction and movies and books. And this never occurred to me as any kind of career or pastime until I finally escaped to college to try and avoid a career in banking and/or accountancy. Jim Green: But, you had to have a gravity assist. You had to be propelled in the direction that made you the scientist you are today. Jim Green: Martin, what was your gravity assist? Martin Still: First of all, I had to get to college, and that was no mean feat to escape where I came from. But, once I got there, of course, you find one or more individuals who are your mentors and who really push you along. I don't think I would have got here without at least one individual early on in my undergraduate career giving me the courage and the belief that I could actually do this, because in fact, I was taking a degree for mathematics. Martin Still: And I had one of those courses where you go away for, you know, for a few months and have fun doing something like astronomy, and you dig it so much, you enjoy it so much that you come alive doing the subjects, and you realize, wow, I've found something. Jim Green: So, for those teachers, did you have to seek them out, or were they just readily available to you? Martin Still: You know, it's a little bit of both. It's a little bit of give and take. Normally, these teachers are very open, and they push you along, and they're very encouraging. But, you have to find a little bit within yourself, of course, as well. And so, I think many of these people are looking for a spark from you. I certainly approached this particular tutor and said, hey, what do I need to do to take this further. And he took me off of that maths course quite quickly and placed me somewhere where I would have a lot more fun. Jim Green: That sounds great. But, after you got your degree, how did you end up working for NASA? Martin Still: Again, that was very cool. I actually was what we call a postdoctoral research assistant for a few years after leaving college for the St. Andrews University in Scotland. I learned to play golf. I got a hole in one. It was exciting. But, I was actually doing a research project for my boss, the professor there, which actually -involved ground-based and space-based observing, collecting data from these telescopes, doing analysis on the data and then writing them up in reports. And it was the unique new use of the spacecraft data that drew NASA's attention to my research. And they invited me over for a visit, and I got to know those people real well, and they offered me a job. Jim Green: Wow. I mean, if that's all it takes, sign me up. Well, a really special thanks to you, Martin, for stopping by and talking to us about exoplanets, those fabulous bodies that are orbiting other stars in other solar systems, and learning about TESS, the new planet finder on the block. Thank you very much. Martin Still: Thank you for having me, Jim. Jim Green: I'm Jim Green, and this is your Gravity Assist.